Spiritual and virtual worlds will collide as part of this weekend’s “Light up a Memory” mass – as Aertv will be streaming the service live on Saturday for all those who can’t make it. The “Light up a Memory” Mass is an opportunity to remember deceased loved ones. In memory of all those lost, candles will not only burn brightly at church this Saturday, but also across the world in a special celebration organised by Missionaries of the Sacred Heart. In a unique move that will open the celebration to the entire nation, and beyond, those unable to attend the Mass will be able to participate online and have their loved one’s memory included in the service. The Sacred Heart Church will be illuminated in candlelight with church candles in lanterns, candelabras and tea-light candles placed throughout the church. To add to the special ambience St. James Choir Ballinora will perform during the ceremony. 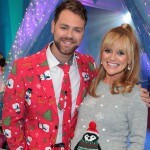 The “Light Up a Memory” Mass is an opportunity to remember with fondness and affection those who are no longer with us and a light is a unique gift in honour of someone special, a loved one who is in your thoughts as the light that shines becomes an inspiring beacon of remembrance and reflection for you. 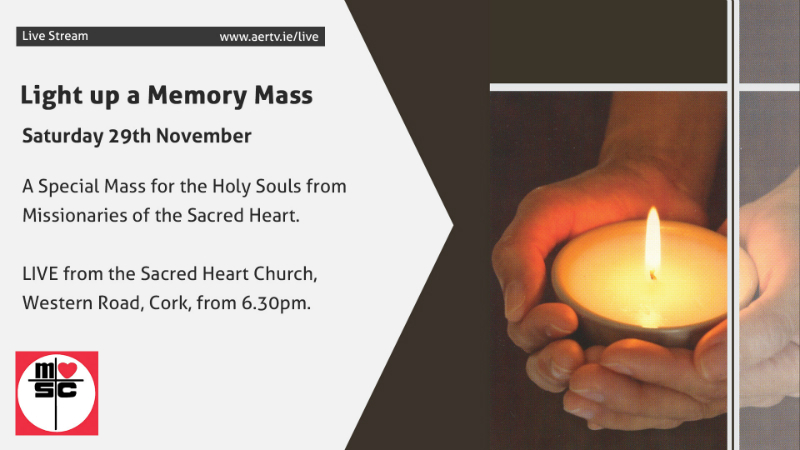 The “Light up a Memory” Mass will take place in the Sacred Heart Church, Western Road, Cork at 6:30pm. This is the second time that this particular Mass is being celebrated by the Missionaries of the Sacred Heart with the “Light up a Memory” Mass but it is the first time it is available to view online.